Higg’s Beach is a lesser known getaway, often missed by those who flock to the better known Smather’s Beach. 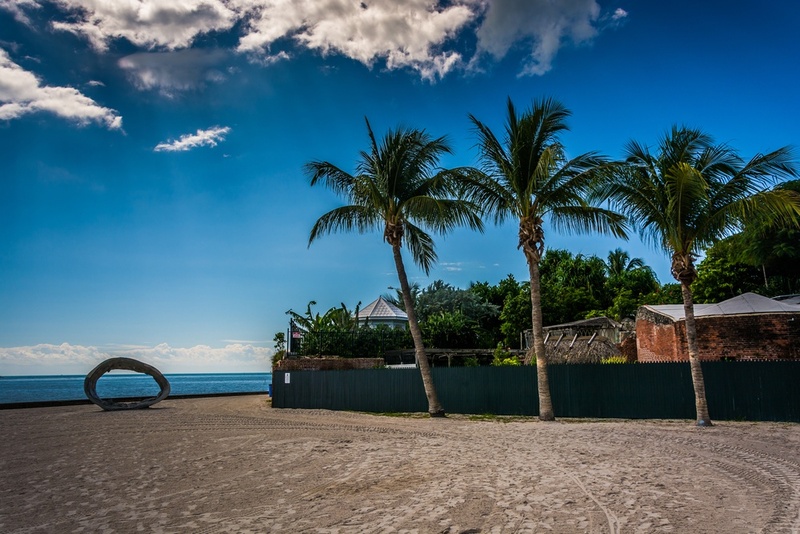 This escape is perfect for relaxing under the shade watching the palm trees sway or floating on the calm waters.Rent some lounge chairs and a big umbrella from Tropical Watersports Key West and sit out with your toes in the sand, or get adventurous with a kayak, snorkeling gear or paddleboard. Their showers and restrooms make it easy to clean-up without returning to your lodging. On a sunny day, observe parasailers and dolphins splash from a picnic table or visit some nearby attractions. There’s a children’s park right across the street, a wildlife center just down the road on White Street and a long pier for quiet strolls.